Home values Reflection time: What is really important for your construction marketing? Reflection time: What is really important for your construction marketing? It’s the middle of the summer, and my construction marketing ideas thoughts have been distracted by some forward personal travel planning. Once a year for the past nine years, Google has invited me to California (once to NYC) for a meet-up or summit because of my voluntary contributions on the AdSense Help Forum. There’s a free economy-class ticket, two or three nights in a northern California hotel, plenty of food and drink, some swag, and the opportunity to reconnect with peers who usually communicate purely on-line. Quite often, I add-on to the California trip, perhaps visiting my extended family in Vancouver BC, or connecting the travel schedules with events in the New York City area. This year, an even nuttier idea is taking shape in my mind — Flying back to Newark Airport, and then catching the longest flight in the world, to Singapore, connecting to Vietnam, before I return to Newark and a family gathering there one week from the summit’s conclusion. I’ve done this sort of crazy and intense long-distance travel before, but not to this degree. The experience should net me “Elite” status within Air Canada’s frequent flyer system and enough airline points to help achieve the goal of obtaining two first class (not business class) tickets to Asia and Australia next winter for my next major vacation. Of course, the extra travel isn’t free — there’s the Premium Economy air fare to Asia, plus hotels, ground transportation and meals along the way. And I’ll have to plan around work and other issues. By now, if you’ve read this far, you are probably wondering: What does any of this discussion have to do with construction marketing? And the answer is — nothing — but everything. And the “everything” is the point I want to get at here. While ideally we want to focus our energies directly on things that matter, such as figuring out a marketing strategy, improving our conversion rate, or discovering the best media and strategies to build trust/brand and attract new clients, in fact for most of us — and certainly for most of our clients — our minds are often in other places, both literally and figuratively. There’s nothing wrong with this disconnect. In fact, I’ve read plenty of studies that in thinking occupations, it is vital to take breaks and rest or engage in activities absolutely unrelated to our primary business goals. 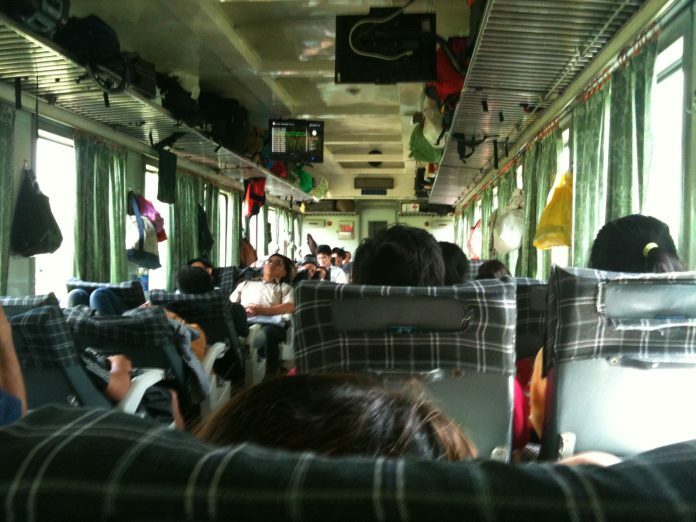 I cannot say whether deciding to stay in Ho Chi Min City, or perhaps fly to Hanoi — or even more challenging, take the “Reunification” train between the two Vietnamese cities — will make the most sense. I know that I will likely be quite tired when the travel is done; but equally I will have had sufficient disconnect time to solve some interesting problems with construction marketing and this blog. As well, I realize that as much as we want our businesses and marketing objectives to be top-of-mind for current and potential clients, the best we can hope for (generally) is a brief bit of connection/interest when our marketing messages correlate with the clients’ at least short-term interests. As much as we might like to think otherwise, our story is generally not the highest priority for the people with whom we wish to do business. We need to earn that interest/relevance and, at times, I think the best way to do that is to stand back and put our marketing hats aside, and experience some of the world. That is the plan here.